Willis Towers Watson Public Limited Company operates as an advisory, broking, and solutions company worldwide. Its Human Capital and Benefits segment provides actuarial support, plan design, and administrative services for traditional pension and retirement savings plans; plan management consulting, broking, and administration services for health and group benefit programs; and benefits outsourcing services. This segment also offers advice, data, software, and products to address clients’ total rewards and talent issues. The company’s Corporate Risk and Broking segment provides risk advice, insurance brokerage, and consulting services in the areas of property and casualty, financial lines, transport, and facultative. Its Investment, Risk and Reinsurance segment offers capital markets-based products to insurance and reinsurance companies; software and technology, risk and capital management, products and pricing, financial and regulatory reporting, financial and capital modeling, merger and acquisition, outsourcing, and business management services; investment advice and solutions to pension funds and institutional investors; wholesale insurance broking services to retail brokers; and portfolio and underwriting, and capital markets and advisory services. The company’s Benefit Delivery and Administration segment provides primary medical and ancillary benefit exchange, and outsourcing services to active employees and retirees across the group and individual markets. This segment delivers health savings and flexible spending accounts, health reimbursement arrangements, and other consumer-directed accounts. 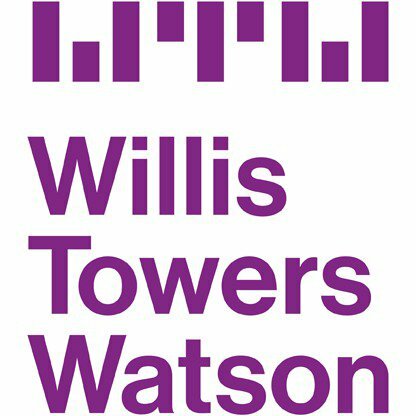 The company was formerly known as Willis Group Holdings Public Limited Company and changed its name to Willis Towers Watson Public Limited Company in January 2016. Willis Towers Watson Public Limited Company was founded in 1828 and is based in London, the United Kingdom.